You are trying hard but haven’t been able to find the best gaming earbuds for you yet? If you are getting tired of using large headsets while you are gaming, a pair of portable gaming earbuds can really make your life easier. In this article, we are going to discuss a lot about some of the gaming earbuds available that provide vigor and clear sound quality. As we move further, let’s take a look at what actually gaming earbuds are and why you need them, plus we’re going to take a glimpse of some factors you might want to consider in our buyer’s guide. Without further ado, let’s dive right into the main topic. What is Earbuds for Gaming? Gaming buds are different than that of standard earbuds. They are specially designed for gaming, to enhance the audio quality of the game you are playing at a more advanced level. Most of them have also got a built-in microphone so that you can do live communication with teammates or friends while playing different games. Here are our top picks when it comes to reliable earbuds for gaming! First, let’s have a look at the comparison table of our top 10 earbuds we’ve reviewed. With a more in-depth review further down. Our method for choosing gaming earbuds is straightforward. We picked the products by their performance, frequency range, durability, gaming features and user ratings. So you don’t have to research countless hours for headphones that fit you perfectly! We start with our final top picks when it comes to earbuds dedicated for gaming. After reviewing nearly 40 headpieces, we all agreed on Sennheiser Momentum being the most budget-friendly earbuds. Sennheiser is famous for their headphones and being a quality manufacturer. The brand use to be more on the pricier side, rather than the lower side. However, the Momentum has an incredible price for what you get. The best overall we give to 1MORE for the impressive sound and technology. Let’s have a look at what we consider being the top earbuds with a microphone that won’t disappoint you! If you are going to spend a lot of money on a gaming earbud why not spend it on a beast which is able to provide you with the most fantastic sound quality with a high-level bass? Yeah, you heard it right, the brand 1MORE’s E1010 can do the job just like a large headphone. The in-ear earphone has got many high-level features, available in a hefty price range. Let’s take a look at some of the key features it comes with. E1010 is one of the most popular in-ear earbuds available in a more extensive price range. These earbuds are worthy of such price as they have got some of the most advanced specs. Go for them if you have got a good budget to spend on the earbuds for gaming. Dynamic Drivers: The high budget earbuds have got a diamond-like carbon dynamic drivers combined with 3 balanced armatures, which are able to deliver a hi-quality sound without any issues. Bass: DLC diaphragm With the help of featuring a PET, these earbuds will produce the mids and bass at full resolution. With the help of these features, the human voice can also be recorded perfectly. Construction: These earbuds are not your normal ones. Their tonal depth has been designed by the audio engineer named Luca Bignardi, who has also won the Grammy awards. Listening Comfort: To enhance the comfort of listening, these earbuds have got an anodized aluminum sound chamber which has a similarity to a jet engine and offers an exceptional listening comfort as well. Armatures: The triple patented armatures available at the front chamber are able to transform the high frequencies to stunning audio quality making the earbuds perfect for listening to music, especially the instrumental one. 1MORE earbuds have got so many advanced features which makes it the topmost for people who take sound quality seriously. With the help of these in-ear earphones, you can now listen to music or for gaming with an excellent resolution, and that’s the main reason to go for it. Next, the pros and cons. Another expensive, but monster earbuds which have got the attentiveness of many gamers are the Sennheiser IE80 earphones. The earbuds have got a compact design with a classy and sleek touch. They are able to provide you with the most fantastic sound quality when you either are gaming or listening to the music. They have got some of the most advanced specs in our reviews and the features are listed below. IE80 is a pair of earphones with a high price range. You should only go for them if you have got a good amount of money in your pocket. These earbuds will give you an entirely new experience to enjoy music and gaming at its greatest, but the price it comes with is not affordable for the most. Powerful Magnets: neodymium magnetsUnlike other traditional earbuds, these have got a dynamic speaker system. With the help of , they are able to provide excellent sound quality with accuracy and clarity. Background Noise: They have got an excellent feature to reduce the background noise effect for up to 26 dB. Now you can play games with peace and convenience as these earbuds won’t allow any ambient noise to disturb you. Durable: The durability is extremely impressive as well. All the materials used in the construction of these earbuds are of high quality, and they provide a very rugged housing. They have also got an interchangeable cable. Sleek Design: With a beautiful, sleek and an ergonomic design, these earbuds have attracted a lot of gamers and music loving people despite having a hefty price. Connectivity: These have got tangle-free wires which are able to connect to any smartphone or gaming device without any issue. 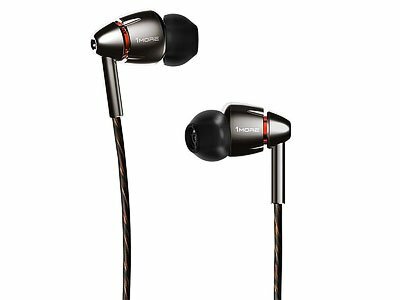 From the features mentioned above, it is clear that these earphones are capable of producing high-resolution sound with a balanced bass. With an elegant design and advanced specs, many customers ignore the price of this product. Let’s have a look a the pros and cons. Shure SE535 is no ordinary earbuds. If you are not extremely serious about boosting up the level of music you hear or the gaming sounds etc. You should probably check out the other gaming buds in this list. The SE535 are without any doubt one of the most expensive earbuds as well. With expensiveness often comes excellent features, and these earbuds are no exception. Let’s take a look at them. 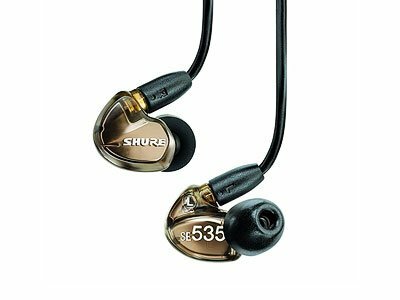 Shure SE535-V is one of the most premium earbuds you are going to find on the market. They provide multiple features and deliver a sound with high resolution and rich bass. Go for it if you are serious about enjoying a whole new level of accurate and precise sound, and we mean if you are really serious. Drivers: They have got triple-high definition drivers which are capable of delivering a loud sound without any distortion and with extreme bass, all of which available in a portable package. Detachable Cable System: They enable multi-connectivity options, these earbuds have got detachable cables so that they can have long-term compatibility, upgrades and easy maintenance. Sound Isolating Earphones: These earbuds are sound isolating. They are able to block the outside sounds of up to 37 dB, providing you a good gaming or listening experience in crowded places. Secure and Comfort: With a special over-the-ear design, these gaming earbuds are more secure, and this design keeps the cables away from accidentally being pulled out from your ears. This design also provides long-wearing comfort and your ears will not get tired of wearing them all day long. Complete Package: The earbuds come with a complete package. They come with 3.5mm cable, volume control buttons, premium carrying case and a fit kit which has got a wide selection of sleeves. As we said earlier, these earbuds are only for people who really want to enjoy music and gaming. Though the price range is much higher, the features it provides are worth getting. These buds are capable of delivering a loud sound with extreme bass, and these are some of the reasons to go for it. Some of the ups and downs are as follows. Accurate sound with rich bass. Secure and long wearing comfort. The in-line volume control on the cable only works with iOS and not android. A lot of gamers know that Razer has been in the gaming business for many years as it has been creating laptops, gaming mice, keyboards and many other gaming accessories. Well, why would they not produce gaming earbuds? With the introduction of Hammerhead Pro V2, Razer has been giving competition to several earbud brands. These gaming earbuds have got a decent and unique design with a bright green color. Let’s take a look at some of the key features it comes with. All things being said, Razer Hammerhead Pro V2 is a great gaming earbud and is approved by many gamers. Apart from durability issues they provide pitch-perfect sound with an increased bass performance. So, you should go for those if you are able to take care of them. Sound Clarity and Improved Bass: With the help of extra large 10mm dynamic drivers, this version of gaming earbuds have got a higher acoustic sound quality with an improved bass performance so that you can enjoy gaming and music to its fullest. Acoustic Chamber: The earphones come with an optimized acoustic chamber which offers worry-less gaming and music enjoying experience, with good sound quality. You don’t have to compromise on the audio quality of the mobile games you play. Construction: As we all know that Razer doesn’t compromise on the aesthetics of the accessories they produce. Same is the case with these gaming earbuds as they have got a premium construction. The new flat-style cables are specially made for fuss-free mobility and an easy storage while you are on the move. Action Control Buttons: Whether to increase the volume or answer a call on a smartphone, Hammerhead Pro V2 has got 3 action control buttons which allows you to perform all these functions in a go. Re-designed: This version of the Razer gaming earphones is basically an update of the original Hammerhead Pro earbuds, with a lot more strength and features. The improved body design and flat-style cables will increase the experience of gaming to a whole new level. First of all, it’s a Razer gaming earbud; all the gamers know the products and sleek design Razer provides. These gaming earbuds have got an updated version and will offer you an endless gaming experience without any issues which are some of the reasons to go for them. Some of the pros and cons are as follows. For gaming and music listening. Cable near the connector is weak. Well, the third earbuds on our list are the Sony MDRXB50AP. These earbuds are recognized for their lower frequencies, in other words, people who love some extra bass either in their music or when they are playing games. 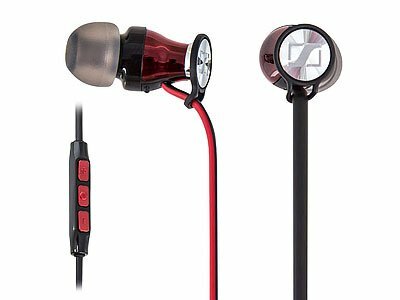 The in-ear earbuds come at a very reasonable price range, and they come in a bright blue, black or red color. Let’s take a look at some of the key features. This Sony ear-piece is the earbuds which are capable of delivering excessive bass to the bass-loving people. They are available at an inexpensive price, and you should have a look at these if you love music with exaggerated bass and want to buy an earbud which is able to fulfill your requirements. Driver Units: These have got a 12mm dome type drivers which are capable of delivering a powerful and deep bass efficiently. Microphone: There is an integrated microphone available. The microphone can record your voice as it is and it delivers a decent sound quality without to much background noise as well. Construction: These earbuds are designed for a comfortable fit, with hybrid silicone buds which can easily be fitted into any ear. Magnets: With the help of high energy neodymium magnets, these gaming earbuds produce a powerful sound with an extra effect of bass. Because of these magnets, these earbuds can deliver a clear sound quality to music lovers and gamers. Tangle-free: These earbuds are wired with a smart tangle-free cord. The Y-type flat cord makes it much harder to end up in a mess in your pocket. Sony MDRXB50AP feature a sound with extra and powerful bass. In addition to that, their cheap price makes them more attractive for gamers and music lovers. The silicone earbuds have gained popularity because of its high-quality sound production, with a deep feeling of low end. 12 mm dome type driver units. Sennheiser Momentum is the first contender for gaming earbuds as it has got some of the most advanced features in a reasonable price range. The gaming earbuds have gained a unique design with an attractive and bright red color which makes it quite eye-catchy. They are able to produce a sound of high quality with a great feel of bass at the same time. Let’s have a look at some of the key features it has got. Sennheiser Momentum is a great gaming earbud for gaming and music listening purposes. The earbuds can deliver a complete sound detail of the game you are playing, or of a song you are listening to. Check it out if you need a sharp gaming earbud for a reasonable price. Construction: These earbuds are specially designed for the PC or iOS system. They are tangle-free and have got an oval shape design with 3 buttons in its in-line remote. The remote has also got an integrated microphone. The earbuds are wired respectively. Sound Quality: Due to the inclusion of the custom design and low resonance stainless steel housing, these earbuds deliver an accurate sound without any distortion and issues. Transducers: Individual high-quality dynamic transducers built in these earbuds allow them to produce a high output, resulting in no distortion at louder volumes. In-Ear Canal Design: The in-ear canal design offers an enhanced reduction of ambient noise from the outside environment. Multiple sized ear tips are included specially made to fit any human ear. Momentum showcases some of the most advanced features for accurate and balanced sound quality. The integration of 3 in-line buttons remote and external microphone makes it a priority for many gamers and music lovers. Some of the pros and cons are as follows. Sound without any background noise. Wired earbuds are not a priority of some gamers. After a couple of expensive earbuds, we are pretty sure that gamers with the short budget are feeling a bit out of the loop. Well, don’t worry peeps, we have had a look at earbuds with a reasonable price as well. Symphonized NRG 3.0 is a pair which has got the capability to deliver a crisp and clear sound quality with a rich bass. Let’s take a look at some of the key features it provides. NRG 3.0 is one of the more inexpensive earbuds with better sound quality and a rich bass feature. These earphones have got a unique woody design, check it out if you want a luxurious type of noise isolating earbuds at an affordable price. Powerful Acoustics: With the help of all-natural wood handcraft, these earbuds are able to deliver a crisp and powerful sound quality, with a deep bass feeling. The earbuds provide a good experience for music lovers. Unique Comfort: These earbuds are decent for an extended period of comfort. They have silicone ear tips available in three different sizes. These tips are capable of reducing the ambient noise with noise isolating feature. User-Friendly: The earbuds are very simple and easy to use. It has got a volume control, pause/play buttons, call, answering or retrieving function and voice control. It has also got a microphone for sound recording. Stylish and Tangle-Free: They are stylish and built from real wood with a slim design. They are durable, reliable and comes in the colors; black, purple, blue, red or orange. They have got a tangle-free cable as well. Compatibility: Compatible with all the latest devices such as Apple or Android smartphones, mp3 players and all other devices which have got a standard 3.5mm audio jack. The earbuds have got a premium, and luxurious design made partially in wood. Apart from being so fashionable, they also provide a good sound quality with a rich bass which is some of the reasons to go for them. Some of the pros and cons are addressed below. They won't last for a more extended period. Betron YSM1000 are the earbuds at a very cheap price. They offer an accurate sound quality with a surprisingly extended bass. 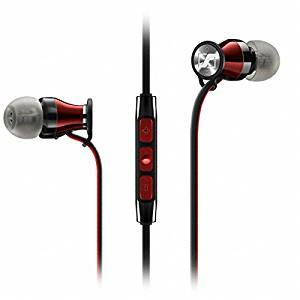 The inexpensive earphones are able to fulfill the demands of most casual gamers and music lovers who only want loud music with a boosted bass. They have got a compact design and an excellent compatibility option as well. Let’s take a look at some of the features it has to provide. Betron YSM1000 Earbuds are a pair of earphones in a low price range. They have received tough competition from some of the leading brands in the market, and you should have a look at these if you have got a short amount of money to spend on gaming earbud. Enhanced Bass: With the help of drivers, these earbuds are able to offer a good stereo sound with a powerful bass experience. People who love bass boosted music will love this pair of earphones. Compatibility: They have got good compatibility features. You can use these earbuds with your MP3 player, Apple or Android smartphone, computer, laptop or other portable gaming systems. Sound Isolating Design: With a noise isolating design they can reduce the ambient noise from the outside environments so that you can hear the music or play the game without any disturbance. Competitive: The modern design, accurate sound with boosted bass, and durable construction make these earbuds a good contender for gamers who prefer a short budget earbud over the expensive ones. Comfort: These earphones have also got a design which is comfortable and convenient at the same time. These earbuds have a robust build quality with its metal housing, and a unique design. It has magnets on the backside, which enable you to fasten them around your neck when not in use. However, a downside with that is it gives added weight to the earbuds. Either way, gamers who have got a short budget have these earbuds as a casual earphone who does its job, and you might give them a try as well. Some of the pros and cons are as follows. Compatible with most portable devices. Fall out of ears easily. Another Noise canceling earbud on our list is the Cloudio J1 earphones, which have got an eye of attention from many gamers because of its accurate sound quality in a very reasonable price range. The earphones have got an aesthetic design, and with a bright red dolor, they look quite eye-catchy while you are wearing them. Let’s take a look at some of the key features it comes with. Cloudio J1 is the earbuds with an ergonomic design and a high sound quality. They smoothly play games all day long without outside disturbance. Go for them if you have got a little amount of budget to spend on some cheap gaming earbuds. Sound Quality: These have got a natural sound quality. With a frequency range of 20 Hz-20kHz, these earbuds are able to deliver a superior sound quality with a neat noise cancellation feature, with less than 1% distortion rate. They have also got a built-in microphone for clear convos in a crowded environment. Compatibility: With a utilization of a 3.5mm audio jack, these gaming earbuds are easily compatible with daily-use devices such as laptops, mobile phones, tablets or music players. In other words, they are compatible with any device that has got a 3.5 mm audio jack. Ergonomics: The earbuds are ergonomically designed. They are explicitly designed at a 60-degree angle for long-wearing comfort and maximum noise isolation. There are 3 set of interchangeable ear tips included as well, which can be changed according to the size of your ear. Integrated Features: The earbuds come with an ease of access for a pure playback experience. You can play, pause, access Siri or Google Assistant easily with just a simple click. Durability: Last but not least, these earphones have been stress tested to bear a force of 6 lbs, adding more durability to them. These earbuds have also passed various swinging and twisting motion tests according to its manufacturer. Experiments which one can face in daily life. Having so many features at such a low price is really something to cherish. These earbuds are giving a fierce competition to other rival brands that are much more expensive. The accurate sound quality with a touch of deep bass is what makes them excellent for most gamers and music enthusiasts. Let’s have a look at some of the positives and negatives. The last gaming earbuds on our list are no more competitive than other earphones when it comes to loud music with a sufficient bass production. However, these ROCCAT SYVA gaming earphones are available in a very reasonable price range, and they provide some impressive features as well which will make many gamers fall in love with these earbuds. Let’s have a look at some of the key features this earbud comes with. ROCCAT SYVA is available at a low price with a premium design and an ability to produce a decent quality sound. Go for them if you are looking for a cheap budget gaming earbud. Audio: Many gamers will think that these gaming buds with such low price won’t be able to deliver loud audio with good bass. Guess what? They are partly right. These earbuds are able to provide a powerful audio quality, but lacking in the deep bass and crisp trebles. Lightweight: The weight is one of the strongest features of this pair. These gaming earbuds are lightweight so that they won’t burden on the ear after wearing them for a more extended period of time. Microphone: There is a built-in microphone available in the cable, which is perfect for voice chat with other people with okay clarity. Comfort: With an ergonomic design and the availability of three different size ear tips, these earbuds can provide good and long-wearing comfort. Cable: The ribbon styled cable on these gaming earbuds are a nice touch, and they are tangle-free as well adding more portability and user-friendliness at the same time. This in-ear have got a very reasonable price. On the other hand, the sound quality is not the greatest with a slightly weaker bass. However, they have got an ergonomic design which is very lightweight. This is some of the reasons to go for these buds. Finally, let’s finish with the pros and cons. As we all know that the world is advancing towards the most updated tech and for this reason, there are a lot of brands available in the market now. So do earbuds, and it is quite difficult for a gamer to get a perfect choice. It is getting more difficult for a gamer who is going to buy a pair of earbuds dedicated to gaming. To remove your confusion related to earbuds, we have decided to write a full buying guide for you so that you can have a better idea about earbuds and how it works. So, without further ado, let’s dive right into the complete guide. Gaming buds can be different than that of standard earbuds. They can primarily be designed for gamers to enhance the audio quality of the game they are playing to a more advanced level. Or they can just be the top of the line earphones that probably will out do most competition, whatever the end use is for. Some of them have also got a built-in microphone so that you can do live commentary while playing different games. Over the years, gaming has been shifting from stationary to mobile. That means, with the announcement of new devices such as Nintendo Switch, smartphones, and PSP, etc. you can now play different games on the move. Nowadays, games like Fortnite and PUBG are available on mobile phones, and we all know that we cannot use giant gaming headphones 24/7 to enhance the audio quality of these games. To avoid this situation, gaming earbuds are produced which gives a high-quality sound just like an enormous headphone. These earbuds are also sometime equipped with a built-in microphone which means you can now communicate on the move. Alright, there are some factors and essential things that you must look for before you choose a pair of earbuds. These factors are mentioned in the list below. Frequency response means that what range of sound the earbud is able to produce. Sound is waves of different sequences, and frequency is the number of waves or cycles per second it can fulfill, and it’s measured in hertz – Hz. First, let’s start with what actually frequencies the human ear can ear. The human ear is capable of hearing in the range of 20 to 20 000 Hz, lower or higher than that can most of us people not detect. So, frequency response doesn’t affect the quality of a gaming earbud very much as most of the earbuds are already in this range anyway. In other words, if earbuds have got a more substantial frequency response than that, it won’t affect the sound quality of the buds necessary. No matter what, sound quality will remain the number one factor before you go out to buy earbuds for gaming or music. That’s because what most of the gamers look for is an earbud which is able to provide a high-resolution sound with every inch of detail. You should prefer an earbud with excellent sound quality, rather than their looks or other factors. Make sure that they have got a good sound quality, and they are able to entertain you as well. A loud sound with a touch of deep bass is what most of the gamers like. A gaming earbud cannot be called as a good earbud if it fails to provide you a boosted bass experience. The sound will appear flat without the touch of lower frequencies, because that’s what makes the sound complete. So, before you make a decision, make sure that the earbuds you are going for have got an enhanced and in-depth bass performance with a crisp and clear high and mid as well. There is no point in buying a gaming earbud which only lasts for a couple of weeks, and all your money goes to waste in that time span. A good pair will have a reliable construction no matter what. A valid sign of a durable gaming earbud is a high-quality construction housing and premium cables, like ribbon or flat-styled cables. Another way to test the durability of a gaming earbud is to check the connection of cables on the top and bottom of the volume controls remote it comes with. It’s common that this is a place where damage appears early. So, if you are going to buy an earbud, make sure that it is durable enough to provide you with an enjoyable gaming experience for a long period of time. This is where things get rather serious. There are usually two types of gaming earphones available, i.e. noise-isolating earbuds and noise-cancelling earbuds. Now, things get pretty messy when you are wearing earbuds, but you still can hear sounds of background right? Even when you have got the earbuds on full volume, you can still hear the outside noise. Well, there are two types of earbuds to deal with it. The noise-isolating earbuds creates a tight seal in your ears. Due to this reason, the music or sound you are listening remains silenced to your surroundings, while the external noise will remain outside and you won’t be able to notice it. On the other hand, noise-cancelling earbuds have got an entirely different approach. They contain a microphone which is able to detect the outside noise. As a result, these earbuds sends an opposite audio signal to the sound that you hear and in this way you can get rid of the external noise. So, look out for what type of earbud you are going to be comfortable with. One more thing. Because of extra features and advanced tech used in noise-cancelling earbuds, they are regularly more expensive to the noise-isolating earbuds. Budget is a factor which many of the gamers fears. Yeah, gaming is not so cheap. You will have to spend a lot of money on completing your gaming rig. The same thing goes for the gaming earbuds. The more expensive ones you buy, hopefully, the better they will perform and for a longer period of time. That doesn’t necessarily mean that you cannot find gaming earbuds in a reasonable price range. To avoid the budget issues, we have decided to review some cheap gaming earbuds that deliver as well. We have researched all the gaming earbuds properly, and they have been reviewed on the basis of performance, sound quality, frequency range and user ratings. So, now you can have a peace of mind as you are going to acquire earbuds dedicated to gaming. The primary purpose of an earbud aside from providing you better quality music is to provide your ears with outstanding comfort. So, they must be constructed ergonomically which means they should be suitable for you all day long without any issues. A gaming earbud without any ergonomic design will tire your ears as you wear them for only a couple of hours. So, it is a good idea to choose an earbud which has got an ergonomic design rather than that of a standard earphone so that you can enjoy gaming and music for long sessions. For this purpose, the earbuds should be lightweight, and keep your ears away from discomfort. Ear tips are the components which get fit into your ear. In a gaming earbud, they also matter the most because without a comfortable ear tip, your earbud will become too messy and it will frequently fall off from your ears leaving you distracted and frustrated. Some gamers use earbuds because they cannot bear the consequences of any kind of distractions, while they are playing games. So, it is a better idea to choose an earbud which has got at least three interchangeable ear tips so that you can adjust them according to the size and shape of your ear. The ear tips with silicone construction are the most common ones, but there is also ear tips made of memory foam. The inclusion of a microphone is a necessity nowadays because, in many multiplayer games like Fortnite and PUBG, you will need a good mic in order to communicate with your teammates or friends. Most of the gaming earbuds offer built-in microphones which can provide you with voice chat. So, look out for those earbuds which have got a built-in internal microphone if you don’t have access to an external mic. Tangled cables are not good enough. Right? Many gamers have got a complaint about the painful tangled cords of many earbuds, and that’s why we are listing this factor. A good gaming earbud will counteract tangled cables, keeping you away from discomfort and frustration. When choosing a gaming earbud, make sure that it has got a tangle-free feature, as these cables will not distract you and they can easily be pulled up from your pocket as you mix them up. Gaming earbuds provide you with good comfort, and they almost do the work of a giant headset by delivering you with every bit of audio detail with deep bass performance. After a lengthy review of the top 10 top earbuds for gaming, we are sure that you now can make a choice according to your needs and budget. If you still face any confusion, we will recommend you to go for Sennheiser Momentum as they are some great earbuds available in a good budget price. Well, those were some of the factors that you might consider before going out to choose the perfect gaming earbud for you. We hope that this buying guide has answered most of your questions. Give this article a thorough read and if you have still got any confusion, feel free to let us know if we left some great earbuds behind.